I think everyone knows that I live for lush limited editions but actually lush in general. 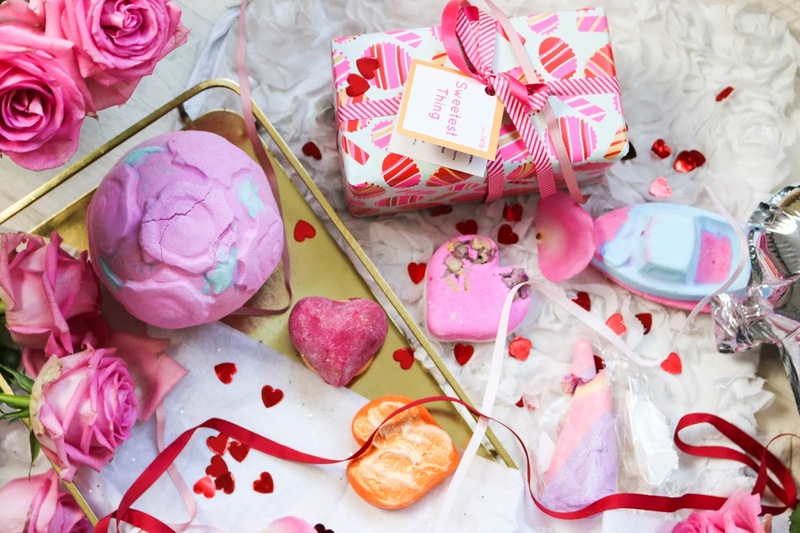 theres just no better relaxation and no better way to defrost after a day out in the freezing cold than having a long and steamy bath and a lush bath product just makes it all better and to be fair, after the Christmas collection, the valentines day one is the best. it’s just so sweet and pink and just what I want to add to my bath all year around. its probably meant to use in a romantic bath with your love, surrounded by candles but we all know that regularly sized bathtubs are everything but romantic. its more crowded and uncomfortable so until I build my dream house with the biggest free-standing bathtub in it, I will use them for myself and enjoy my bath as much as I can. it might be a bit ridiculous to buy a gift set for myself because you do pay for the wrapping too but the valentines gift sets are just so beautiful and usually theres never a gift set that contains just products I love but the sweetest thing gift set was just too good to resist. it contains the think pink bath bomb, one of my favourites and one I love gifting. it also has the comforter bubble bar which is a lush classic that I haven’t tried myself so I can’t wait to see why everyone loves it. it also contains the bubblegum lip scrub. obviously could help with a good valentines day kiss but also helps with dry winter lips. to me, its one of the best gift sets I’ve found in lush. I also had to get love boat bath bomb. it just looked so adorable. it smells very much like lemon but also sweet and fizzy. it reminded me of some sort of sweets I had as a kid and love the combo of blues, yellows and pinks in my bath water. one classic valentines product I have to get each year the unicorn horn bubble bar. it just looks beautiful and fun and you can already tell how shimmery the bubbles will be. the bathwater also turns into the most beautiful soft pink. mine came a bit broken but that’s fine. I might go back and buy some more as they are just so pretty. I think the whole lotta love bubbleroon. its the perfect red little heart with shea butter in the middle and a very lovely rose scent. I’m sure it will create perfect bubbles and also provide me with soft skin. 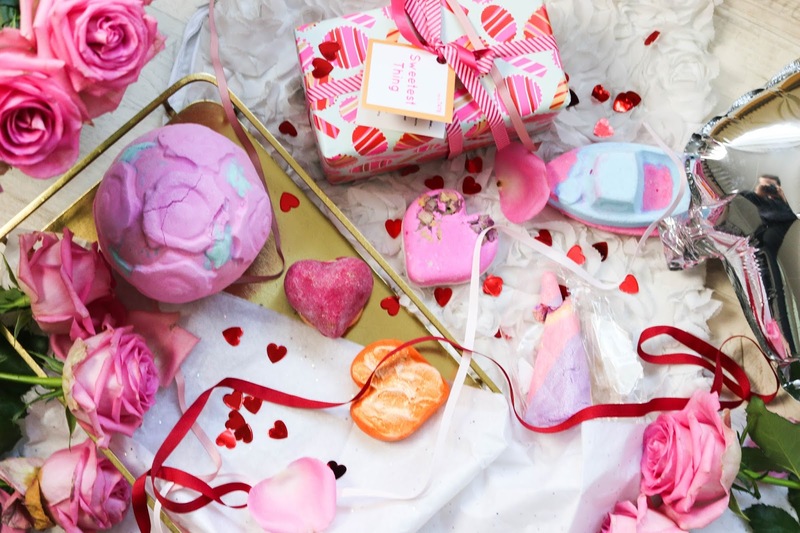 they also had the heart-shaped heart of enlightened expectation bubble bar melt which sounds like the perfect combo as I love bubble bars for the bubbles and bath melts because they make my skin feel so silky soft. it also contains rose absolue as well as bergamot and ylang-ylang. I can’t wait for a gold and shimmery bath. last year, I picked up tisty tosty on a whim last year and really liked it. 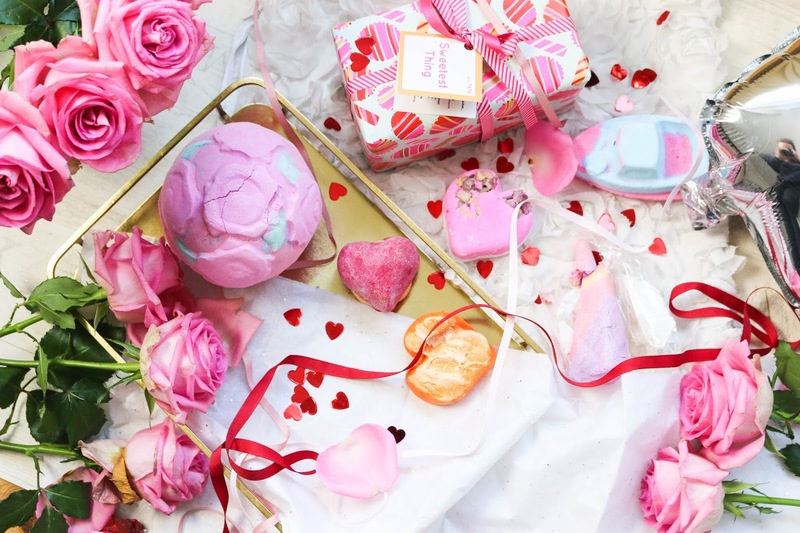 its a heart shaped bath bomb with dried roses in it and it also contains rose absolue. its such a lovely product to use and its the best pink bath to just relax in. now, I love lush and theres one bath bomb I loved last year. its the rose bombshell. its because it smells like roses and just created the most perfect and best pink water. I loved it so much. when I saw they did a giant one, I just had to get it. it’s massive and a bit extravagant but I wanted it and I will use it. 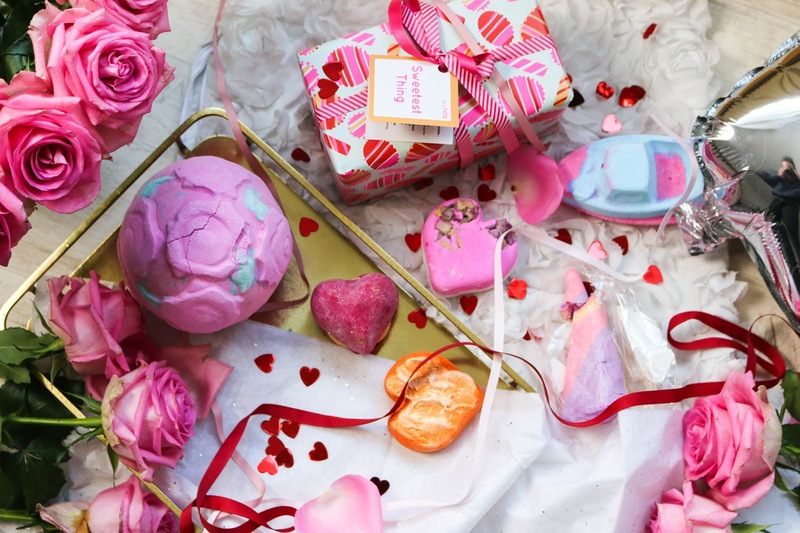 so here we have my picks from this year’s lush valentines day collection. have you tried any? what do you think? "How I fell in Love"